← Another video of last year’s workshop on Scoraig! Paul examines the only major deployment of VAWT technology that actually really happened during all the years of hype. This entry was posted in People, products/technical. Bookmark the permalink. That’s the thing about vertical axis. You have it right there. Ten times the power. Show me the evidence. I’d like to see energy production figures for a working site that produces ten times the power. Until then I will go with what I know, which is that you need high efficiency rotors on tall towers to generate wind energy economically and effectively. VAWTs always come with these wild claims, and yet people believe them without any supporting evidence. Arguing don’t help . Seems like both camps have pros and cons it what suit’s your situation. ? I am very sorry if I am seen as being argumentative. My position is actually one of puzzlement. If people would stop asking me for help building vertical axis wind turbines then I would be very happy. I try to find out whether anyone has one that works well and so far I have not found anyone. I am trying to understand why everyone is so excited with the idea. I guess an idea is enough to keep people happy. It is maybe bad of me to ask whether is actually works. But I like to give people good advice, so I need to know the answer. So far all I can say is that it seems impractical. But then I get howled at for being negative and biassed and argumentative. Very soon I hope that someone will make a VAWT that works and sweeps the world and I will be very happy. But I have been around windpower for forty years and that “very soon” is getting old for me now. Instead of arguing I would like to see some success stories of VAWTs the work, together with measured performance data and long term reliability. That’s what I would like to see. My mind is not closed. I can be wrong. But I need to be shown real evidence. I am sorry to be negative in my tone but I see no reason why VAWTs should “sweep the world” at this time. Given that people have been playing with them since the dawn of wind energy and they never did work. It’s nearly forty years since 1979 and so we can be excused for being a little impatient with such predictions. If VAWTs were going to be successful I think this might have happened already. There has been no lack of effort and enthusiasm for the project. There was a HAWT in Denmark that provided 5kW heating using a hydraulic pump. This was a 2-blader round 5m diameter. Can’t find it on Google nowadays. It was twenty years back. Used hoses down the tower that could accommodate a few twists. heating temperatures were a bit low in low winds so OK for underfloor heating in stables and stuff but not a great financial prospect. Using a VAWT will make the performance worse and probably you will not put it on a tall enough tower to reach proper windspeeds so I worry that it will be an expensive ornament like most VAWTs. I am looking at the possibility of using a number of VAWTs installed alongside a motorway and mounted to the structures with a view to generate an alternative power source for the equipment. This is still in the very early concept stages, however, I am hoping that the wind energy generated by the passing vehicles would generate a sufficient amount of energy to warrant the development of a solution. Has anyone had any experience of this or are you aware of any studies along the same lines? I would recommend you do some objective studies of the resource. Brief washes of wind are not going to generate very much power. Possibly try a well instrumented prototype machine (if you can find a mature product) in a location where there is plenty of traffic and compare with a similar site that is not at the roadside. My assumption would be that this is not going to work but why not go ahead and find out? Measure, record, publish. More data. More facts. Less myths and nonsense please. In fact my single blade self starting vawt was made three years ago. Like ive said i have no decent wind but they would self start at less than 2 mph. At that speed it generated about 6 watts. I have made single blade darrieus vawts. They had passively pitching blades, they self started just fine. Thanks for the input. How long did the self-starting blades run for and how much energy did they produce? Obviously you can add bells and whistles to make a Darrieus self-starting but (in my humble opinion) that is just going to add to cost and reduce reliability in a machine that already has a very poor life expectancy. It would be great to hear more from people who have actually used them rather than dreaming and scheming. People have dreamed and schemed for many decades but useful results are yet to be seen. I share your disappointment in VAWTs to this point in time, but I remain fascinated by them. I have built and studied some serious Darrieus configurations and there are basic dynamic characteristics consistently ignored by almost all proponents. Most significantly for every straight bladed configuration is that lateral wind load fluctuates twice per revolution generating cyclic alternating forces on the blades and the structure, which will eventually cause fatigue and bearing failure. Two straight blades is the worst. Secondly, no pitch control means no self starting unless aspect ratio is very high, but then cost/power ratio is prohibitive and scale up is impossible due to cubic function on size/mass. Simultaneously without pitch control no active output control without burning off the excess energy in an oversized brake, so overspeed is inevitable with fly apart consequences. With scale up these detrimental features get worse, whereas with HAWT scale up tends to improve dynamic and economic performance. Helical blade arrangements on more recent (and somewhat more successful VAWT variants) ease the dynamic wind load issues, but still completely preclude pitch control. Finally, every VAWT needs a structural component (cross arm) to hold the blade out at radius, which creates drag eating energy produced by the blades. So why persist with a VAWT design? A bit like building a square wheel, easier to manufacture and package as all the sides are straight, novelty will having people buying just to try, but when square wheel meets road, the bumpy ride will soon prove the shortcomings of the design. All these practicalities listed, my ambition is to make an engineeringly successful single bladed Darrieus VAWT. If you see one on youtube in future, its probably mine, but it will be trivial compared to your contributions achieved to make small scale HAWTs practical and successful. kind regards Michael. History has no relevance, technology has moved on, materials have improved, design and engineering know how has improved. The best cars in the world originally were electric, they then went to the internal combustion engine, they are now going back to electric. The history of the VAWT is one of people ignoring history. If you are still in business selling VAWTS and have happy customers then you will have your place in history. Meantime anyone throwing money away buying VAWTs would do well to look a their history because as yet your claims of improved engineering are only claims. Why should we believe them? I hope you can make a difference, but the odds are slim. Here is more news. Can it be called news when we already know it? If you require any information on VAWT,s see http://www.4navitas.com. VAWT’s are more efficient when compared to HAWT’s, we can prove it. I had a look at the website but I saw no independent performance measurement data to substantiate your implausible assertion. If you do have proof, where is it? You do not by any means have the first vertical axis turbine in that size for sale and I doubt if you will be the last but have you looked at the history of the technology? I appreciate that you will find my views on the subject unwelcome but I am simply telling it like it is and hoping that my voice is heard above the nonsense that prevails. I have no personal vendetta or ill will toward VAWT builders but I just wish they would do their homework and realise their mistake. Hugh thanks for everything you have done…we need pioneers like you now more than ever with a population that has doubled in only 60 yrs. Just wanted to mention that dabiris paper published in 2011 is worth a look, in my humble opinion…it would seem his real-world in the field data collected suggest vawts may very well have their place. As someone mentioned earlier, it is up to the DIY builder to figure out their goals, expectations, aesthetic preferences, topography, etc to decide which style of turbine suits them…its all about the fun of design and construction…of making a little of your own juice…or all of it! Let’s not lose sight of the fact we’re all in it together and experimentation is lots of fun. I would not bother with a VAWT, as they are pretty useless anyway. Probably not going to give you satisfaction. You could use a Solar Converters LDR controller and heater to protect against over-voltage if you think it’s worth it. The free spinning is probably due to the inverter losing its connection with the grid or something but to be honest I don’t know much about grid tie as I live off grid. Hugh and readers, I found your comments regarding horizontal verses vertical wind power generators interesting. However, I would like to introduce you to a third type of generator with specific benefits over the conventional designs. This horizontal generator is completely silent because there is no turbulence or vibration generated by the blades. The secret to an improved performance lies in its ability to structure a flow or you could say linearize the flow and able to capture more wind within the same area as a 3-blade design. It is a developed technology based upon an understanding of the ‘static and mobile mechanics of energy interaction’, in this instance you position four rotors, each rotor supports two propellers, each propeller overlaps one another by 50%. These four rotors are mounted upon a specialy designed frame. It is the interaction of the passing wind through the blades and then the frame that structures flow into two flows that subsequently linearizes because of an interaction with regards the flows. If anyone would like more details ask and I shall provide them if able. Hugh, HAWT are already excellent, and your contributions to them are also excellent. Your comments about VAWT are well founded, but you go one step too far. You dismiss their potential because they have not yet achieved it. VAWT are much more varied than HAWT and there is still an enormous amount to learn about VAWT. Your basic argument is similar to those who claimed humans could never fly because they had never done so. So your skepticism is warranted. But your conclusion is not. Put simply, when it comes to VAWT, you are not objective. The reason I wish to bring that to your attention is that a lack of objectivity can slide into outright prejudice. There is considerable prejudice among HAWT enthusiasts toward VAWT which causes them to be dismissive toward all new types of VAWT. That makes it quite difficult to obtain funding for research, and that in turn retards VAWT innovation. There are many false claims about VAWT, I agree. But please don’t throw the baby out with the bath water. Thanks for your calm and patient statement, Peter. I can’t really say more than I have since I have already repeated my main points over and over. I will simply repeat the more positive remark that I still await the VAWT that works and look forward to it with pleasure but without much confidence. Development of a new VAWT would be a pleasant relief from watching the same mistakes over and over again. Go ahead and show me it can work. Savonius turbines can be pretty slow and quiet. But this is very small, and the savonius is not very efficient. Even the manufacturer’s data (which is not usually pessimistic) only predicts 30 watts output in 10 m/s. I personally wonder if it produces quite as much as that. 10 m/s is a pretty good wind. People who are expecting to see 175 watts will need to wait for a hurricane force wind. It’s kind of tempting to try one of these turbines but look at the price tag (gulp). With that money you could buy five large solar panels. You could get over 1000 watts of pv power for that money. hmm. What are the long-term maintenance costs of large HAWTs? The need to access the generator high in the air worries me, and is a reason for exploring VAWTs. The larger that HAWTs get the more I see problems arising. Perhaps it will be like nuclear: large stations will prove uneconomic, but maybe lots of little ones might work. The reason that many of us find VAWTs less ugly is that the visual profile is pretty static. People may be “wrong” in your opinion to care about visual aspects, but if accepting their priority leads to more wind generation overall, would that not be a good thing? So far as recent history goes the trend is still toward larger and larger HAWTs being the most cost-effective. Which is a bit surprising giving the astonishing gravity loads. You need a tall tower to access good winds, which is key to success. Long shafts to ground level have never really proved to be worth doing. I obviously come over as an arrogant twit that tells people they are wrong to think what they all think, and I am sorry for that. I just try to tell it like it is in the real world as opposed to the dream world of “new” inventions that can produce much more energy. Wake up and see what works and what does not in the real world. Or simply throw abuse at me for popping your dream bubbles? Some people find VAWTs more attractive maybe. Not me. But I am very happy to see VAWTs actually working. That would be something. I’ll ignore the insults but I will ask you for independent evidence of the 70% efficiency claim. How long have you guys been in business? Got some happy customers? I want to see good news stories about VAWTs but I don’t see any that I can believe. Only hype. VAWTS are superior. No doubt – we can achieve over 70% efficiency even today, while the best HAWT ever will never escape the limitations of Betz law. My view is that this website is spreading deliberate lies about VAWTs because they are paid to do so. Hugh, please stop lying about the VAWTs, and get some qualifications in aerodynamics and engineering while you at it. Seriously, you are a joke. “Vertical axis wind turbines can catch the wind from all directions and at lower wind speed than horizontal axis ones. ” that’s the first sentence, and contains two fallacies already. Sorry but theories are fine so long as they are grounded in reality but it is nonsense to say that a vertical axis turbine can catch lower wind speeds than a horizontal one. This might be true in some particular instance but is by no means true as a generalisation. I can’t be bothered to repeat all of the arguments but this document offers nothing new at the outset – just the usual ignorance. Sorry. He that answereth a matter before he heareth it, it is a folly and a shame unto him. You did not even bother to study the document and you claim to be more knowledgeable than those with PhDs in fluid mechanics and air flow dynamics who have studied this in a scientifically disciplined way for years. My friend, your knowledge in this area despite your years of so called experience appears to be inadequate. You keep on repeating disinformation and misunderstandings and urban myths that have now been proven to be false in light of new studies. I implore you to desist from spreading some more disinformation. VAWTs are a maturing technology that can effectively compete with HAWTs even at its current stage of evolution. I don’t believe you even bothered to read this document that clearly explains how VAWTs can be placed closer to each other, as close as 1.6 times blade diameter. The reason this can be done with VAWTs in explained in the math of the dynamics of the air flow. Did you even read the section that mentions counter-rotating VAWTs and how it will enhance efficiency due to how fluids (air) is prevented from becoming turbulent at certain separation distances and TSR>2? So, my friend, the science and proof is there, you just need to study it. If you decide you can’t be bothered by it; then you are one who “answereth the matter before he heareth it”. This is folly or a shame. Which one are you? Foolish or shameless. If you want, I can send you documents that I studied on wind farm placements so that you can have a more solid understanding of wind farm design for best economic return. BTW, no insult is intended. I just want to make sure you understand what I am saying and plain talk is the best way to do that. OK I did glance through it, and it is full of all the usual misconceptions that are often repeated. Mentions hardly any of the problems and glosses over them. No help to those who are about to make all the mistakes again. You can choose who to believe. I have said my piece. I admit to being prejudiced toward HAWTs from the outset (never could see the point of a VAWT) but I continue to be amazed by the way people cling to the idea that they can be better, in spite of the overwhelming evidence that they cannot compete. Well said, Joshua and well done for pointing to Dabiri’s work at Caltech including the experimental site where he verified the fluid mechanics calculations. Hugh, I would agree that maximum output per generator may best be achieved by horizontal axis machines and the commercial development of these has led to some very efficient designs. Your earlier question about close-packing of turbines is addressed by Dabiri and it is well understood and demonstrated that vertical axis machines produce less turbulence and are more robust against turbulence. This is the main reason why VAWTs can be packed closer than HAWTs. It is true that there is much development work to be done and commercialization has not yet happened but that simply means that the technology has not matured rather than it being fundamentally flawed. As Dabiri points out, it is the energy per acre/hectare/square mile that is ultimately the important figure rather than output per machine. VAWTs will develop and may even challenge the established HAWTs once robust units are commercially available. Harvesting ten times as much power from a given piece of land will provide the financial drivers. BTW, I have no commercial interests in either technology but am an engineer working in the RE sector. Here’s a good description and summary of various VAWT technologies that are superior to HAWTs is terms of overall power production and economics. On a per turbine basis, HAWTs are superior. However, what’s not being mentioned here is the “Big Picture”. A wind farm of VAWTs can be installed much closer to each other. The end result is better overall energy production per square area of land. In the overall scheme of things, this is more advantageous as this lowers capital cost significantly. Other advantages include: Better able to handle turbulent wind, require less robust towers as well as easier (lower) accessibility to the PMG resulting in much easier maintenance. VAWT blades can also be scaled better to have more swept area by lengthening the blades without increasing the diameter. Material fatigue is a problem that can be solved with advanced materials available with current technologies. These as well as the aesthetics and lower noise make VAWTs superior in certain applications. I opted to install VAWTs in my island resort instead of the uglier, noisier and more instrusive HAWTs. But what do I know. Just ask Prof. Dabiri of Caltech. It seems to me he knows what he is talking about. I see no intrinsic reason why you can site VAWTs closer together in an array than HAWTs. And putting them on lower towers will get you less wind energy I am afraid. I am glad that you find your VAWTs more attractive to look at than HAWTs, because I am pretty sure they will give you less energy per dollar spent, by quite a long way. My main argument is that in spite of hundreds of years of development of vertical axis turbines, the horizontal is still the market leader (by a huge margin). Rhetoric about supposed advantages is not as persuasive to me as the facts of what has been effective on in the real world. Professors rarely have much interest in the real world and although their work is useful and necessary I would not rely on an academic in a matter like this. Universities love VAWTs. But you won’t see many out in the real world. And there are good reasons for this, which I try from time to time to explain. These are “opinions” backed by science and numbers and physics. Not just the rumblings of clueless academic. Im going to make a vawt at a low a cost as possible and so far its only the resin and magnets that cost anything! I live in ccentral Scotland and have a little back garden with houses around around and so a hawt just isnt an option! If I get a bit of power out it now and again the high five for me but if I dont itll still have been good to try! good for you, and have fun but it’s good that you have low expectations of this project. A bad site means very little energy production. I am a tiny biting ant who is annoying a great man and I apologise. I think wind power is a fantastic under-used resource. I think that your contribution to inspire and enable people to use small scale wind power is heroic. I am talking out of turn, because I wish that the problems that hinder the take up of wind power could be solved. I am not alone in my dislike of wind farms or large scale HAWT’s and wish there was a less intrusive solution for urban use. I wish that a different design of wind harvesting would allow this underused resource to help this country go ‘cold turkey’ on fossil fuels. I’ve never been called a great man before and am sure there is a mistake there. And I am not annoyed by the debate – it’s a chance to say my piece. I am sure there must be many like you with the same misconceptions about wind energy and it gives me the chance to speak to them if they read this. Urban wind energy in my opinion is a non-starter. Wind is a diffuse source of energy and when you study it you realise that you need a large turbine and a decent windspeed to make it produce useful amounts of energy. The potential in urban situations is small and the obstacles are great. Windfarms are the most practical solution for the grid. It’s not like solar which works everywhere. Cities are full of buildings that break the wind up and make it weak and also turbulent. Turbulent winds have low energy content and are also very hard to utilise. If you read Paul Gipe’s pages you will find the evidence that urban wind is just greenwash to make people feel good. If you study how effective it is you would not repeat these mistakes. Use solar PV in town. Not wind. I live with wind energy and have for decades and it has always been obvious to me. Most people have inflated ideas of what the wind can do and they also have a very low opinion of current technology and think it’s possible to invent something much better. Study the physics behind it. Look at the amount of energy that is being converted. There is room for improvement but not much. The basic constraint is lack of wind. To get wind you need tall towers above obstacles, and relatively large rotors to access volumes of moving air. is tough because to be commercially successful and competitive isn’t always down to the best engineering. Look at Apple vs Microsoft/IBM in the 80’s and 90’s. Apple was always the better engineered machine. Perhaps HAWT’s are currently the best engineered and are enjoying the economy of scale advantages of large scale production, but may I, with respect, suggest that the unsubstantiated and snake oil claims also exist for some designs of HAWT’s. There probably isn’t an appropriate design yet for a VAWT other than the Flo-wind , but I am put in mind of the current machines being built around Stirling engines. Didn’t James Stirling say in the 1800’s that he knew the concept could work, but that the materials had yet to be invented. Is history always the answer to solving engineering problems? What puzzles me is why bother? I cannot see any of the supposed advantages of VAWTs that is a real advantage. Doesn’t need a tower? Try selling a car that doesn’t need a fuel tank. It’s not an advantage to have no fuel. More efficient, quieter etc? Where is the evidence? New and great potential? Old as the hills and still being reinvented. Just a materials problem? A huge materials problem, and no benefit that I can see. Hmm. I just don’t get vertical axis. I never have. Somebody explain it clearly for me please. I can see the need to test vertical axis designs, yes. What I do not want to see is so many untested designs with inflated claims out there pretending to be something new, when they are simply repeating the mistakes that have been made over and over without anyone apparently learning from them. I am very happy to answer questions. I can tell you the pitfalls. So can Paul. Vertical axis is the oldest type of wind turbine, and became obsolete with the invention of the HAWT a few hundred years ago. I wish people would study what happened instead of making the same mistakes and wrong assumptions that others have made so often before. Find me a modern day vertical axis machine that is commercially successful and competitive, and produces a clearly documented amount of energy that justifies its cost. Firstly I am just trying to find out, not to challenge you. But don’t worry about ‘tone’, I have no problem with a healthy debate, but please don’t be angry with me because I am exploring possibilities. I hope you don’t feel it is a waste of time to answer my naive questions. Can you really see no argument whatsoever for trying out or testing a few more new vertical axis designs? Your colleague Paul, although he doesn’t like them, shows one VAWT design on his site that worked successfully for 20 years. How many years do HAWT turbines work for? But isn’t it true that VAWT’s can be mounted at a lower height? Since they could be less intrusive to the skyline, couldn’t they be used more easily in an urban setting, where lots of them together might help solve the UK’s addiction to fossil fuels? I’m saddened when I see lots of ‘Mine is Better!’ arguments, when it could be that making room for both in appropriate settings might be the answer. It is clear that VAWT’s haven’t had the same amount of research as HAWT’s, but maybe they could be made much better. You can mount VAWTs at lower height and even under your bed if you want, but it will be a waste of money. Wind turbines need wind to work, and the useful wind is simply not available ‘below the skyline’. I am sorry if my argumentative tone is upsetting, but I am genuinely angry and sad that people are taken in by the unsubstantiated claims of vertical axis enthusiasts, often well-meaning, who have no actual experience of wind energy. To cure our addiction to fossil fuels we need to first of all adjust our use of energy, and we need to be able to seriously prioritise renewables above (for example) the aesthetic habits of preference of a minority of people who would love a painting of a traditional windmill but can’t stand to see a real one doing useful work. I actually don’t agree with the installation of small wind turbines in an urban setting for a load of reasons: lack of wind, safety issues, public acceptance, etc. I feel that VAWTs are used as ‘greenwash’ in most cases. They make people feel they are doing their bit for the planet when actually they are wasting resources and demonstrating an ineffective technology that will ultimately give wind turbines a bad name. However there are plenty of rural sites where small wind and water turbines can work well and elegantly demonstrate that we an live in harmony with nature. Vertical axis designs have been around for thousands of years but have always been discarded by serious engineers in the end as being unsuitable. The proof is in how much they can produce and for how long. They fail the test. I have to agree Vickie Urban situations cannot always accommodate spinning blade HAWT which have to be higher level. They do have more moving parts and as such are more libel to component failure. I can’t agree that fatigue is any more of an issue this is more a quality and design issue. Im sure HAWT is more efficient. Just because something is more popular doesn’t make it any better than alternatives it just means more established tea companies that have a lot of capacity can give people better deals on cost and larger marketing budget. The design is familiar and if people don’t understand the subject they are more likely to go with a known familiar formula without looking in detail at the alternative. Industry is geared up to producing a type of product and changing strategy is very costly as long as people will buy HAWTs they will not change this formula. Tinkering is not the same as producing consistent high quality products that address issues of performance and reliability through a decent research budget. The biggest failure and fatigue area in any turbine is gearbox due to rotational force that has lateral force applied opposing gyroscopic rotation in high wind load situations HAWT turbines have this unique problem 20% of failure is gearbox and Yaw systems 13% with electronic control systems with fatigue in blades only 4-5% although VAWT systems have their problems they are less complex lower maintenance less prone to component failure. Running at higher rotational speed without the need for breaking does compensate for lack of efficiency if you have high wind speeds. I agree we have fixed views we just need to be open and constructive rather than closed and destructive. I am kinda burned out on repeating my views on this. I am very open to the idea of a successful VAWT design. I have spent forty years watching them being touted as the latest new idea, and failing to meet expectations. I just needed to tell my story. I just hope that people look at the history before they dive in with such enthusiasm for such a dead end technology. It never had worked out, so why does everyone assume it’s ever going to? thanks for the feedback. I am keen to tinker with a home wind generator this year, and the VAWT looked to be quieter and perhaps less likely to trouble birds etc as it just looks less likely to chop things up (certainly the “dynasphere” model looks pretty). I think that there needs to be more than raw energy efficiency in the choice. Is it then not true that such a design would need less maintenance / be less fragile than a HAWT? More often people are referring to the high speed or Darrieus type of VAWT which has more slender blades. These can achieve acceptable efficiency and the rpm is better too. The problems they have include fatigue failures of the blades, problems with starting, problems with controlling the speed (governing) and difficulties with mounting on a tall enough tower to catch wind. 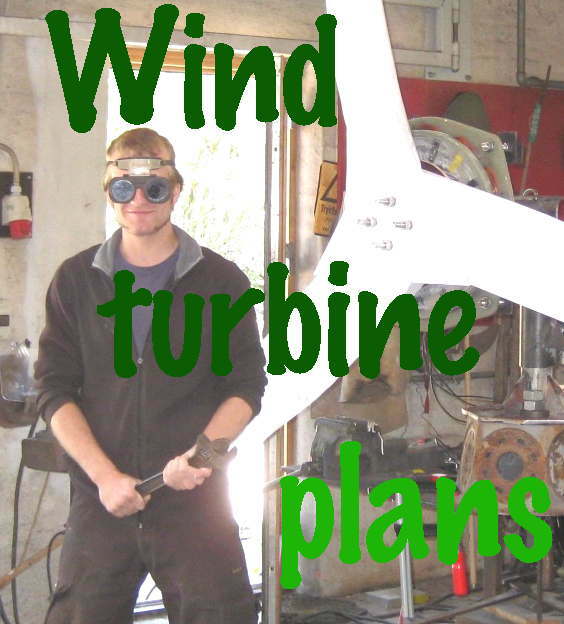 Tinkering with small wind turbines is fun but can be frustrating. It’s not an easy path. I have been doing it since the 1970s. Don’t make like difficult for yourself from the start by trying VAWTs. My HAWT designs are quiet, efficient, and as easy to build as I can make them. I have noticed that many people start out as VAWT enthusiasts. It’s a blind alley. thank you for taking the time to reply! I will start looking into HAWTs as of now! I’m well aware of the poor efficiency, but I figure that in my specific case, the high wind speed and gust factor means that simplicity and robustness is more important than other factors. Being able to generate fairly paltry amounts of power will satisfy my needs. Just want to ensure some lights and water pipe heating tape stays on. What are your thoughts on this specific application? The thing about wind energy is that it comes and goes, even in the windiest places. So you will need your backup generator. In low winds the Savonius will produce little or no power as it is so inefficient. I guess it will be durable, yes, but it will be costly due to the low rpm of the generator relative to a similar sized Hawt with higher tip speed ration. I note that Mike Reynolds (of “Garbage Warrior” fame, the developer of the Earthship house built from earth-filled tyres etc) is fond of VAWT – he feels they are robust, require little maintenance, and have proved themselves with his Taos, New Mexico settlement. ?is he wrong? I personally like the look of the VAWT designs, and as a supplemental energy source (to solar) the idea of a lower maintenance wind turbine is appealing versus the propellor-type turbines. I have two questions about that. First is whether there is any record of how much energy the garbage warrior’s turbines actually produced? Second is why is it that the wind turbines with all of these supposed advantages have not become a runaway success and completely replaced the horizontal axis type? People say stuff about vertical axis wind turbines but the proof is in the total lack of market success of the genre. Vertical axis turbines have been around for decades and all of that time they have been touted as new and better. In fact to be accurate they have been around for hundreds of years longer than the horizontal ones that have long ago replaced them due to superior efficiency and reliability. It’s only me that has been around for decades hearing about them and wondering what the fuss was. During the week that we were there it was not working, I did not get any information as to why. In the video a person points out that the dynasphere is turning while a nearby HAWT is not spinning at all. You can clearly see that the generator is not attached to the dynasphere, so it is not under any load, and the HAWT could very well have the brake applied. I’m with Hugh, I like the idea but not the product. In my eyes it’s hard to beat a well designed and robust HAWT, placed in a good location. thanks, George => so you didnt see any evidence that the VAWT was achieving anything useful when you visited Taos? the advantage of vawt is lower noise but not so stable in high wind.while hawt can change the blades known as pitch control. I have a cousin who is a mechanical engineer and who has done a lot of work on fluid dynamics, primarily with gas turbines. Years ago, he told me that he had doen a simulation of VATs and found that there was an incurable vibration that set up as a result of the blades passing behind the tower and behind the other blades. It is probably this vibration that eats away at metals until they fatigue, to the point of failure. In the late ’70s and, later in the ’80s, Hydro Quebec installed some VATS that failed. Why flog a dead horse? It’s pretty simple to understand the fatigue problem. Normal wind turbines have lift forces that push them downwind all the time: constant direction. VAWT blades take wind from one side and the other in every revolution: reversing forces. Hold something and waggle it hard and you have a good chance of breaking it. Slender VAWT blades usually break. This is one of the fundamental problems of the VAWT. It can perhaps be solved (at a cost) but my question is why solve it, when you can use a HAWT that is superior in pretty much every way? HAWTs are superior? LOL. What exactly are your qualifications? Seems like NONE since you make so many false and misleading claims. HAWT that is superior in pretty much every way? Pretty much due to your producing $$$ them f’rinstance? You are not exactly clean in this debate are you? I am shocked that you think I am making lots of money (LOL) and that my thinking with regard to VAWTs has anything to do with money. I suppose what your comment reveals is that most people who talk up VAWTs have some sort of product to sell. Products that don’t work so far as I have seen. So answer me the question. Where is a VAWT that is reliable, productive and economically viable? All the good wind turbines you can find out there are HAWTs. I am honestly puzzled why people keep on talking about VAWTs as if they were a serious alternative. That’s why I wrote this post. I don’t care if you think I am biassed. I just want answers to my questions. My bias is not due to money. It’s due to watching this circus for forty years and there has never been a VAWT that worked.